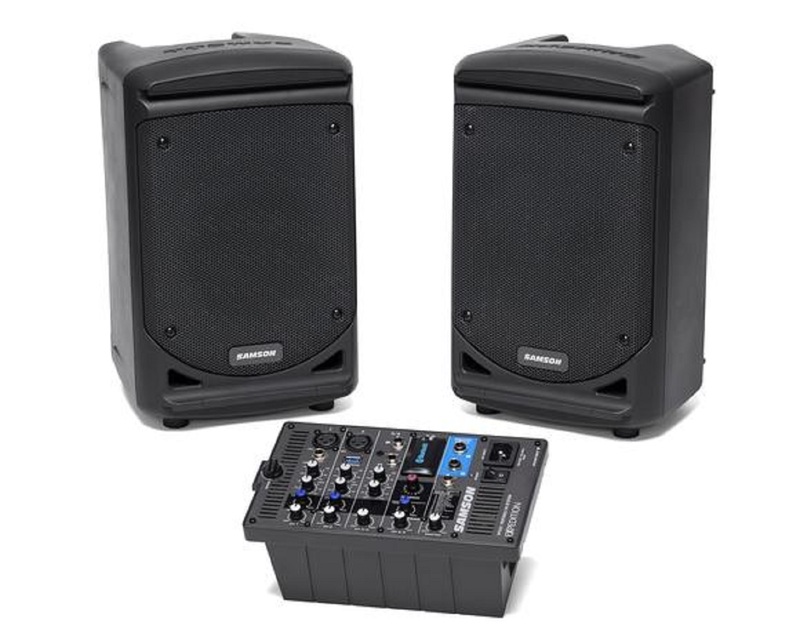 The XP300 is ideal for education, business and house of worship applications because users with limited PA experience can set it up quickly and efficiently. With Bluetooth® connectivity to wirelessly stream audio from laptops, tablets and smartphones, the XP300 is also perfect for presentations, parties and karaoke. The XP300 includes a USB Wireless port for integrating Samson`s XPD USB Digital Wireless Systems (sold separately), now available in handheld, headset and lavalier configurations. Musicians and sound operators alike will appreciate some of the XP300`s more advanced features such as a phantom power for condenser microphones, selectable digital effects, a Sub output for integrating active subwoofers and 2-band (Bass and Treble) EQ on all input channels. These features make the XP300 perfect for cocktail and acoustic performances. The XP300 speaker enclosures feature 1 3/8" speaker stands mounts, as well as a tilt-back design that allows them to be used as stage monitors. The mixer section can be removed and mounted on any standard mic stand using the Samson SMS308 Mixer Stand Holder (sold separately). Lastly, two 10` speaker cables are included with the system. Included: Speaker Cables 2 x 10` 1/4"